Coqui Selection (Elias DJota Re, Coqui Selection, Danilo Rossini, Addal, General Tosh, Toni Vilchez and more. 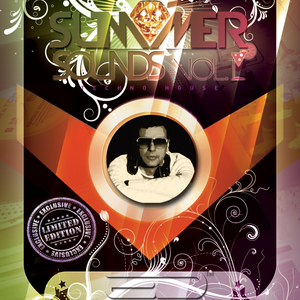 Boom Loop presenta "SUMMER SOUNDS 2013 SPECIAL EDITION", sonidos techno house, muy frescos, divertidos, y muy contundentes se unen en estas magnificas entregas para este verano. Mezclas y sonidos con mucha percusión seleccionados especialmente para la ocasión con algunos re-works incluidos en el set, con el estilo clasico de Elias DJota, mezclas finas y atrevidas. A disfrutarla FREE DOWNLOAD !!!! Boom Loop presents "SUMMER SOUNDS 2013 SPECIAL EDITION" techno house sounds very cool, funny, and very strong in these magnificent bind deliveries this summer. Mixes and very percussive sounds specially selected for the occasion with some re-works included in the set, with the classic style of Elias DJota, thin and bold mixtures. FREE DOWNLOAD Enjoy it! !